Vendor Exhibits and Giveaways will take place at 11:00 am with the program and lunch beginning at 12:00 noon at the Florence Center located at 3300 W Radio Dr. 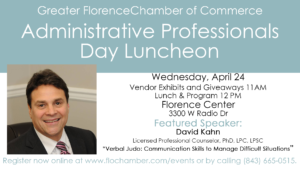 This event is sponsored by The Manor, SPC Credit Union, and the Greater Florence Chamber of Commerce. 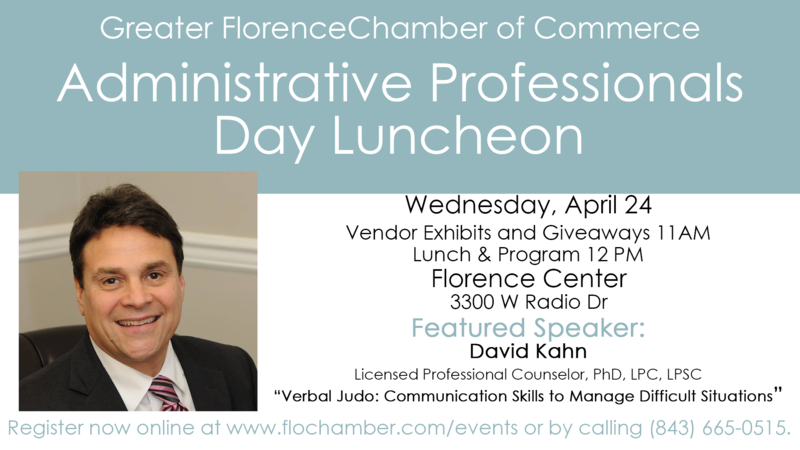 Register using the link or by calling the Florence Chamber at (843) 665-0515.